I really thought we were done discussing this loser of a human being. Remember Democratic Rep Lacy (racist) Clay? 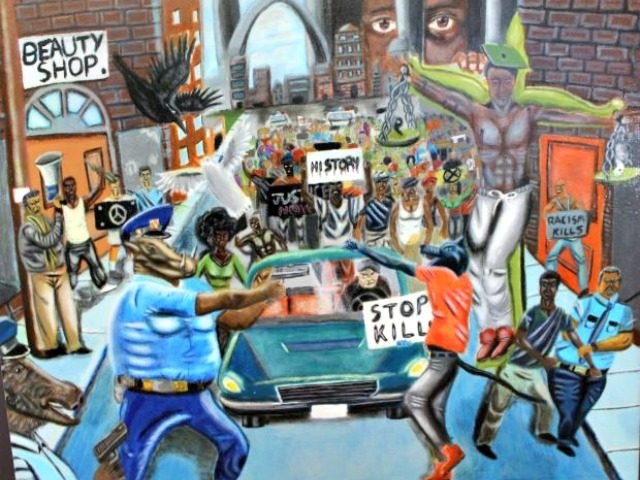 He is still fighting because he wants that painting that was gifted to him to be able to hang in the People’s House… Right, the painting that depicts cops as pigs shooting black people in Ferguson… alright. Being as how Clay is an elected official, it’s not his House. It’s the People’s House. If the people don’t want this racist painting hung in their house, then it should not be hung. If Clay has an issue he should take that up with the people, being as how it’s the people in his district who are paying for the damn House in the first place!! I really don’t get it, the left loves to remove things… why won’t he just take down his offensive painting?